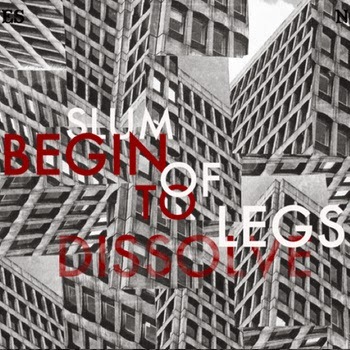 I said of Slum of Legs’ demo tape earlier this year that; “..the three tracks [here] do function VERY MUCH as a demo […] giving only a fleeting, muffled impression of the kind of rampant creativity this unit is capable of”. This single then can be seen to represent the full realisation of this Brighton collective’s potential – a stew of wildly disparate (some might say contradictory) elements, successfully boiled down to a perfectly imperfect essence. A kind of fiendish, exploratory outsider pop music that recognises no limitations, imposes no boundaries upon its members’ divergent impulses, yet somehow works toward the same functional totality. It is a lovely thing to hear. All this is rather abstract thus far, so let’s get down to brass tacks. ‘Begin to Dissolve’ opens with an overdriven Add N to X-ish analogue synth riff that is soon joined scraggly, chiming guitar, nervy, Cale-ish violin, martial drumming and vocalist Tasmin Chapman’s voice a clarion of assertive, post-punky anguish: “Inside the static I hear whispers, they say everything is dead!”. Thunking great X Ray Spex/ATV punk chords enter to emphasize what I suppose is the chorus part, before waves of Radiophonic/Oliver Postgate oddity and a few bars of poignant, doleful violin swing past over the uneasy, Mo Tucker-ish clatter of the gtr/bass/drums. Next a touch of roaring, doom-ish low end guitar enters the equation, closely followed by a storm of transistor radio static. “Is there anybody there? Can you tell me your reaction?” demands an unidentified interviewer/operator as muttering EVP voices crackle away in the corners. We’re at 2:30 of a 3:44 song by this point, and nothing we’ve heard sounds contrived, inorganic or at all out of whack with the elements surrounding it. The remaining 70-odd seconds becomes a drop into dream-time, a sort of grey-skied river-gloop narrative of decayed spoken word and DIY punk propulsion, concluding in a maelstrom of roaring gobbledygook. ‘Razorblade The Tape’ dials down the strangeness considerably, flying a lot closer to what journos are obliged to term ‘accessible’, which makes it’s placement on the b-side oddly pleasing. Beginning gently, like a long-lost Marine Girls off-cut, things quickly evovle into a quite wonderful bit of off-kilter, synth-damaged guitar pop, that drifts into a persistently catchy, Stereolabby song-drone over the course of the next few minutes. It demands less comment than the A side but is equally persuasive - a perfect flipside to the preceding song’s more menacing impulses. Weird, dissident, homemade, different from anything YOU’D make – these are some of the key notion that spring to mind where Slum of Legs is concerned I think. I may have bandied around an unpalatable number of dubious band-name comparisons in the preceding paragraphs, but perhaps SOL’s true spiritual predecessors are – naturally - outfits that sound more or less nothing like them. In particular, I’m thinking the sort of feeling that can be found lurking in the obscurest corners of unacknowledged female creativity in the murkiest years of post-punk era. Androids of Mu, The Fates, that sort of thing. Basically, both this single and the demo tape sound like what pop music might have become in 1982 if William S. Burroughs had been writing the script and a stern regiment of well-drilled Raincoats/Au Pairs partisans had been carrying it out. 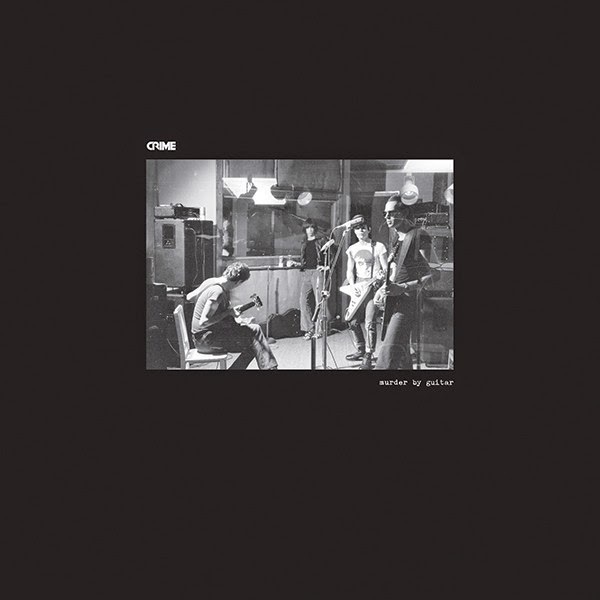 Even in 2014 – perhaps especially in 2014 - it is exhilarating to hear a band making such imaginative, evocative and open-ended music whilst still remaining ostensibly within the realm of song-based ‘pop’, trawling for thrills in the shallows of the avant garde whilst happily avoiding its tendency toward alienating abstraction. This is Weird Music, no doubt - taking risks, posing questions, demanding attention. But it is also very giving music - a lot of fun for creators and listeners alike. 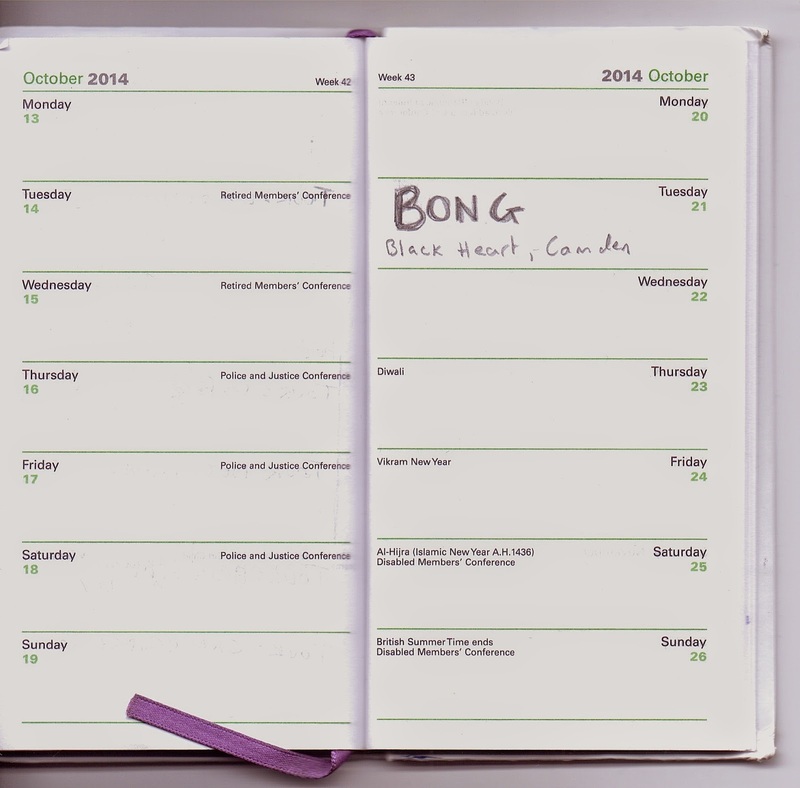 October is shaping up nicely.